Compassion Fatigue has been known by many names including burnout, but no matter what it is called it isn’t something that happens all at once. We have good days and bad days. That’s normal. Eventually, though, we find ourselves edging dangerously close to a meltdown over a situation that would have been simply a mild irritation not that long ago. The future looks bleak and our responsibilities endless. This is a danger point. 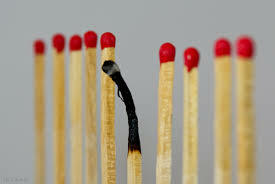 How do you spot and extinguish the small fires that, left smoldering, can eventually lead to burnout? 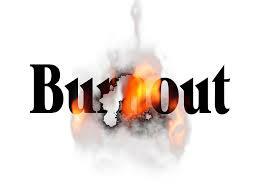 What do you do if you already feel like you are running on empty? The best approach, of course, is to take preventative action before Compassion Fatigue takes your knees out from under you. One way to do that is to keep a log or a diary. How are you feeling on this particular day? And the next? And the next? By making a few notes each day in a journal, or on the computer, you may be able to look back and see a pattern. You will become more aware of your own moods, actions and reactions, and you may be able to recognize and prevent Compassion Fatigue. Many people go day to day without questioning why they feel the way they do. It can be more productive to practice some self-awareness. Journaling helps. The act of writing often relieves your stress. If we learn to know ourselves better, we will be more likely to catch signs that we are being drawn toward a negative or hopeless mindset, and convince us to seek help before we’ve gone over the edge. Seeing a mental health professional can also be beneficial, even if that seems a very scary prospect. What are some signs that Compassion Fatigue could be present or imminent? You experience unrelenting fatigue: If you are constantly tired without an explanation (such as too much physical activity), you should see your physician. 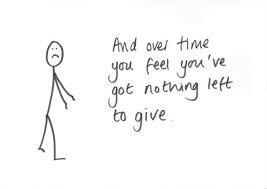 But if you are quite sure that the cause of your nearly constant fatigue stems from the challenges of care giving, then you are possibly already being affected by Compassion Fatigue. You get sick more frequently: Constant minor illness can be a sign that you have had enough. You catch colds frequently, when you never used to. Your colds repeatedly turn into secondary bacterial infections. You get headaches, flu and other illnesses more often than you have in the past. If this is your pattern, your immune system may be compromised by fatigue or depression. Your body could be telling you to make some changes. You lose your temper more often: If you find yourself sniping at everyone—from your husband/colleagues/managers to the cashier who messed up your change—you may have gone beyond your personal capacity to handle stress. (My personal one; was not just getting irate with the recorded messages, while being kept on hold, but answering them back and even shouting at them!) If you were once an easy going person, this kind of behavior is especially alarming. Even if you have always been a bit volatile, you need to examine your behavior to see if you have gone over the top. It’s not fair to you, your family, or your care receiver if you are so tightly wound that you cannot be civil, let alone caring. You begin withdrawing from your loved ones: Conversely, you may find yourself pulling inward. You don’t want to see friends, family members or anyone else, even if you could find the time. You don’t complain about your life being taken over by care giving, but you don’t find any joy in life either. You just put one foot in front of the other, gaze focused on the ground. You don’t want to be bothered by people, even those you like or love. You have trouble finding happiness: You may start to find less and less joy in things that once made you happy. (This one was a biggie for me). There is none, or very little joy/happiness/excitement and laughter in your life. I even saw the lack of sparkle in my eyes, on the rare occasions I took any notice of myself in a mirror and even rarer occasion of a photo of myself, even with a smile; there was a sad/seriousness about me. A lack of spontaneity, or any interest in being in a happy environment. Even in a happy social location, you can be isolated and seem unapproachable. You stop seeking information and knowledge: You were involved in professional development, took an interest in various illnesses/conditions. Now, everything patients do irritates you to the point that you struggle to be kind and you no longer seek information and knowledge. You do what you have to do, but your heart isn’t in it. Caring for yourself doesn’t seem worthwhile: Small gifts to yourself do not seem worth the trouble. Need a fresh haircut? Why bother. The only people who see you are your family/colleagues and your care receivers. A gift certificate for a massage from a well-meaning friend? You don’t get around to scheduling the appointment. It’s just too much trouble. If you are experiencing many, or all of these symptoms; you may already be well into the Compassion Fatigue downward spiral. It’s possible that you could need professional help to guide you back to emotional health. At the very least, you should make changes in your life. 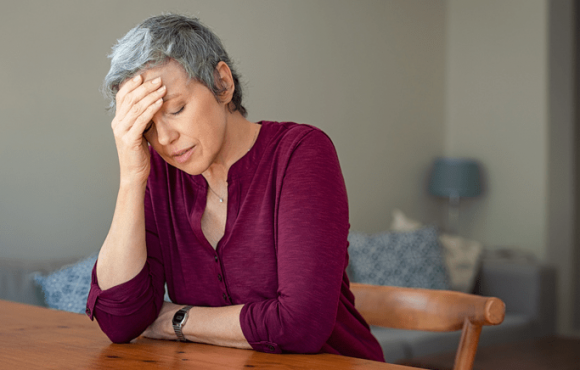 Even if you see that only a few of these symptoms of Compassion Fatigue apply to you, it’s time to start adjusting yourself before the situation gets worse. It’s time to get help with your own care. If you are emotionally at the breaking point, or approaching it, you are vulnerable, and so are those around you. The point is, you must take action – no guilt, or excuses allowed. 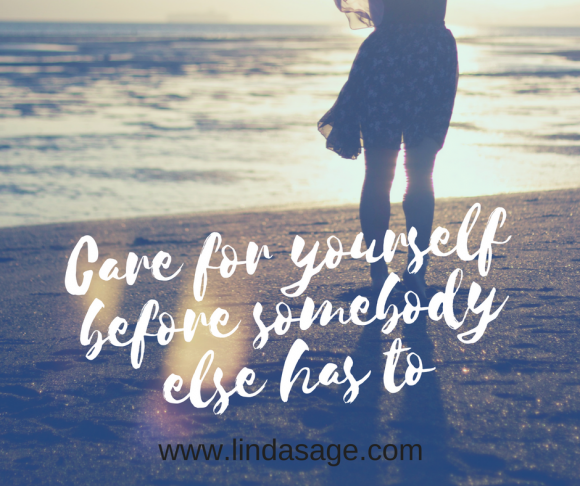 Your care for yourself is not a luxury, it is a necessity. Helping compassionate people care for themselves.